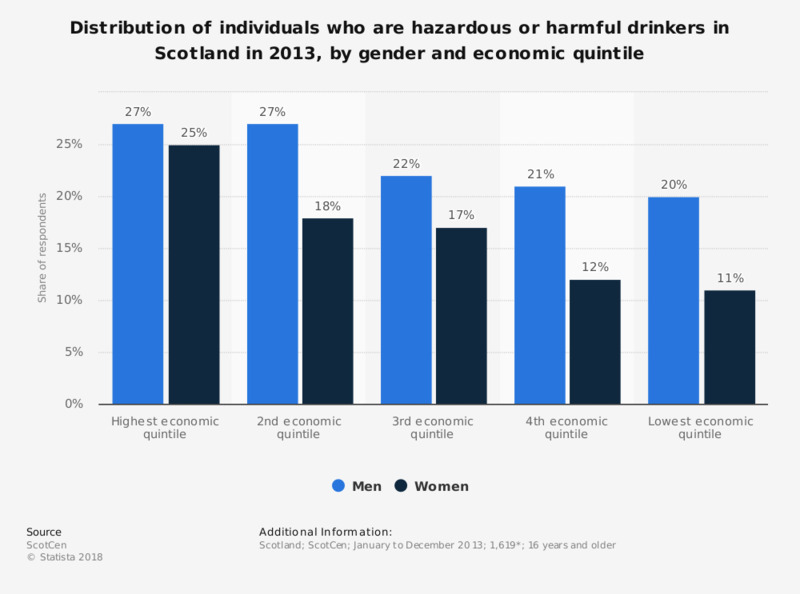 This statistic displays the proportion of individuals who are hazardous or harmful drinkers of alcohol in Scotland in 2013, by gender and economic quintile. In the year 2013, 27 percent of men and 25 percent of women in the highest economic quintile were considered to be hazardous/harmful drinkers of alcohol. Hazardous/harmful: more than 21 alcohol units but less than 51 alcohol units for men or more than14 units but less than 36 units for women. Harmful: more than 51 units for men or more than 36 units for women.